Recovery innovations in Yorkshire and Humberside. Best D., Knowles D., Morell M.
The enthusiastic shoots of a recovery orientation emerging in treatment systems and services in northern England faced considerable challenges in gaining sufficient coverage to transform the established landscape – literally in the case of a plan to communally build an Iron Age roundhouse village. Summary The freely available featured report documented attempts in 2010 in the Yorkshire and Humberside region of England to implement recovery-oriented systems of treatment and wider care for problem drug users. The regional team of the then National Treatment Agency for Substance Misuse (now absorbed in to Public Health England) selected eight projects for review by the researchers. Two of the projects were identified as 'system change recovery models'. • Calderdale Recovery Partnership. Centred on the Basement recovery service, but also linked to sober-living housing, long-term social enterprise and employment and training opportunities, and the growth of a community of recovery champions. • Barnsley system re-configuration. The area put its addiction treatment system out to tender in 2009 to establish a replacement built on a recovery model. The aim was to develop a system of outcome- and recovery-focused services which could boost the social recovery capital of problem drug users. The successful bid featured 'care navigators' independent of the treatment system who provided central assessment and recovery planning for each service user throughout their recovery journey. Three further projects attempted to initiate the recovery process from within structured treatment services. • Bridge 12-step awareness. This established treatment organisation aimed to raise its staff's awareness of 12-step mutual aid organisations and principles and to encourage them to attend at least one meeting. The ultimate aim was that staff would then more actively encourage clients to become involved in Narcotics Anonymous as part of their recovery. • Sheffield ITEP mapping training. Provided psychosocial group support for 'stuck' clients been stable in treatment for at least two years and who were not engaged in active substance use, with a view to progressing their recovery. • North Lincolnshire Primary Care Trust. Two workers from the shared care team (prescribing-based primary care services) set up a 'recovery clinic' offering one-to-one psychological support for clients interested in recovery. The final three projects focused on peer models of support. 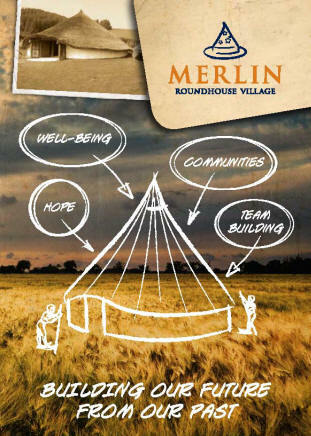 • Merlin roundhouse village. A West Yorkshire project led by service users which aimed to engage participants in community processes and build their capacity to reintegrate in to society via the communal building of an Iron Age village using past industrial skills illustration. • Doncaster Recovery Empowerment and Mentoring (DREAM). A service-user led group of people in recovery which offered therapeutic interventions, a support group, and a service user newsletter. • Project 6. This harm reduction service in West Yorkshire set up an accredited peer support training course available to service users in recovery, especially those who had come through its aftercare programme; there was also a linked recovery group. Each project is individually described, placed in the local context, its achievements and challenges noted, suggestions made about how it might be evaluated, and broader lessons drawn. Considering all the projects, the authors found they faced some common challenges. • Integrating effectively with and influencing specialist treatment provision, especially prescribing treatments for long-term clients. • As a result, several projects had problems in securing a throughput of clients from acute care services and producing graduates who could actively engage with clients at specialist services. • Enabling culture and attitude change in service staff and commissioners. • Establishing continuity of funding and the resulting stability to build effective programmes and essential links in the community. • Securing 'quick wins' to inspire and engage clients who may have a more passive view of 'treatment'. • Identifying recovery champions from among service users and staff and creating the drive and motivation to enable recovery, along with safety nets and supports. • Ensuring that their zone of impact is sufficiently widespread that the innovations can enable system-wide early and assertive engagement with recovery supports, and ongoing support and care for people leaving treatment. • Establishing credible measures and evaluation mechanisms for early process aspects of delivery, then linking these to recovery-focused outcomes. • Creating a range of services that build personal and social capital across a range of clients and that provide the safety net of collective or community recovery capital. These nine issues are what commissioners and new recovery projects need to build into their planning. They also provide the foundation for mapping their traction in local treatment systems and their ability to generate and support long-term recovery. commentary The lead author of the report has also provided a summary of the work and its implications. Thanks for their comments on this entry in draft to research author David Best now of Turning Point in Australia. Commentators bear no responsibility for the text including the interpretations and any remaining errors.